The world’s oceans are full of game fish, and many tales have been told about days at sea hunting the biggest of them in the deepest waters. You don’t have to endure treacherous seas to land some of the planet’s most prestigious game fish, though. In fact, you can hook into them without losing sight of land! 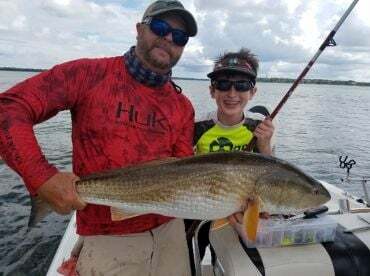 Inshore fishing is all about battling hard-fighting fish in shallow water, and you hardly need to be a seasoned sailor to enjoy the experience. There’s no concrete definition of “inshore fishing,” since this can have a different meaning depending on where you fish in the world. 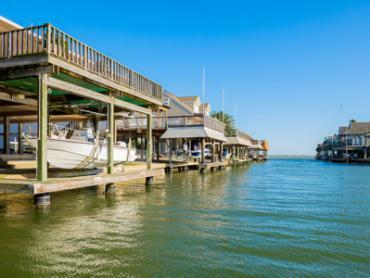 By and large, it involves casting a line in bays, flats, backcountry, and coastal waters just a few miles off the beach. You’ll rarely find yourself more than 10 miles from shore, usually in water that ranges from several inches to roughly 20 feet deep. 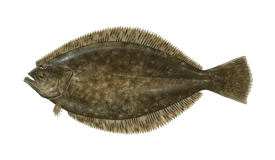 Of course, these numbers vary widely depending on the location, as do the fish you can expect to catch. No matter where you find yourself, a few basic principles hold true. 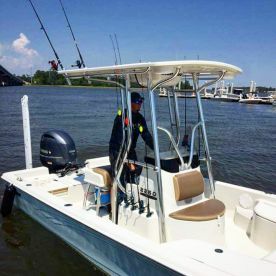 When fishing inshore, you’re likely to cast lines aboard a small boat, be it a skiff, center console, dinghy, or even a kayak. In some places where the water is shallow enough, you may even wade in the water. 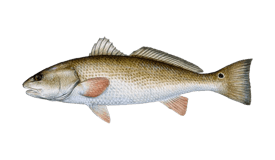 Inshore waves are calm, and the fishing stays fairly consistent throughout the seasons. 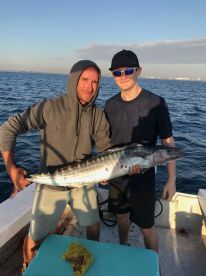 Considering how close to shore you’ll be, travel time and fuel costs are relatively low, which makes inshore fishing in most areas cheaper and more child-friendly than offshore fishing. 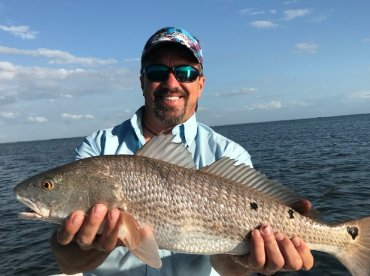 You can use a wide variety of techniques while fishing inshore, depending on your target species and the time of year. Drifting and still fishing are a couple of the most basic methods to start with; these will entice a bite from just about any fish depending on your selection of bait and lures. You can catch most inshore species on fly rod, as well, from Redfish and Bonefish to Blacktip Sharks. Bottom fishing will produce Flounder and small bottom-feeding Sharks, while trolling can help you catch Snook, Barracuda, and more. Meanwhile, popping attracts the attention of Giant Trevally. 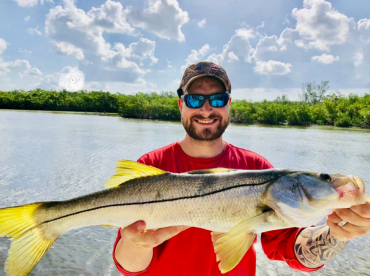 Fishing the dock lights for Snook is a specialty in some parts of Florida, a method which involves targeting this species on light tackle or fly rod at night. 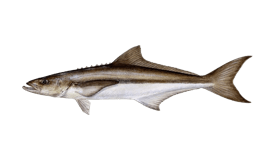 Sight casting in clear, shallow water for Cobia, Redfish, and Bonefish is one of the methods anglers enjoy most, because you can stalk your catch and witness all the action from start to finish. Tip: try to fish near underwater structure (rocks, wrecks, docks, etc. ), since this is where game fish like to hide and ambush their prey. Transitional zones where the bottom changes between sand, grass, mud and rock are also good places to target fish. It’s common to use a spinning or baitcasting rod while fishing inshore, using either light or heavy tackle. 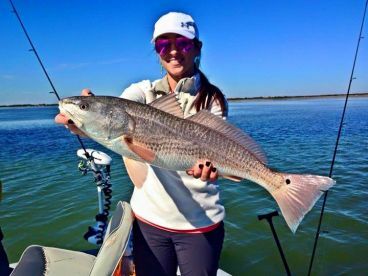 You can target Speckled Trout, Flounder, Spanish Mackerel, Pompano, and small Redfish on light tackle, usually using a 6.5-7’ rod with a fast-action tip and 6-12 lb test line. Heavy tackle will help you catch bigger fish such as Tarpon, Cobia, Tripletail, Sharks, and large Redfish. Anglers recommend a 7-7.5’ long rod with a fast-action tip and 12-20 lb test line, possibly up to 50 lb test for the biggest fish. Fly anglers generally rely on a 9’ rod when fishing inshore, paired with a reel specifically designed for saltwater fly fishing. Since saltwater fish tend to make long, extended runs, most saltwater fly fishing reels have a large arbor, and you’ll want to back your line with 200-300 yards of braided line. Some of the planet’s most coveted inshore game fish include Tarpon, Bonefish, Permit, Snook, Redfish, Speckled Trout, Flounder, and Cobia. Roosterfish is a popular inshore species in parts of Central and South America where it exists, and Giant Trevally is equally coveted in the Maldives. 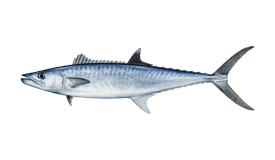 Though many of these species are small compared to offshore game fish, some of them can easily reach 100 lbs in size–most notably the legendary Tarpon, which is known to exceed 250 lbs. 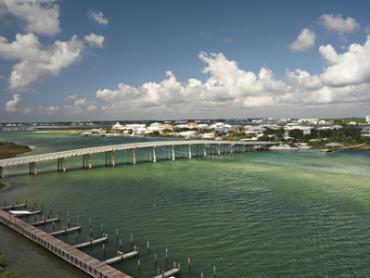 Florida Keys: Islamorada is known for the biggest Bonefish in the area, while Key West has year-round Tarpon fishing. 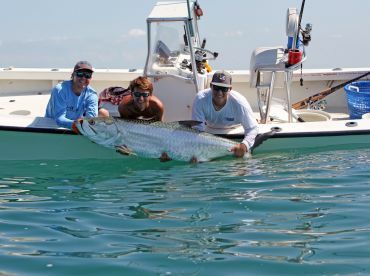 Boca Grande: Hailed as the “Tarpon Capital of the World,” there’s no better place to chase after the Silver King. 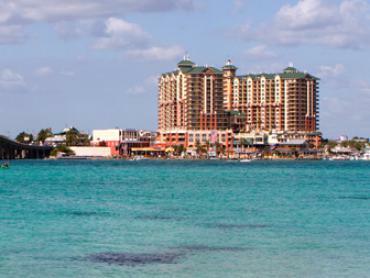 The Bahamas: Yes, the whole country! Flats fishing almost anywhere in the Bahamas is your ticket to the infamous “Grand Slam” (catching Bonefish, Tarpon, and Permit all in one day). Belize: Yet another opportunity to land a Grand Slam awaits in the coastal waters of Belize. Panama: Inshore fishing in Panama will have you hooking into stunning species like Roosterfish, Cubera Snapper, and Bluefin Trevally! Maldives: Popping for Giant Trevally is the name of the game in the shallow waters of the Maldives. Cape Cod: Light tackle and fly fishing fanatics can’t get enough of these waters, where you can catch Bluefish and really big Striped Bass. Once you know what you want to catch and where, all that’s left to do is plan your trip. From the atolls of the Maldives to the flats of Islamorada, there’s no shortage of inshore fishing to be had out there. 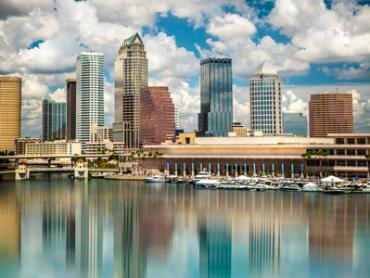 The best part is, you don’t need to stray far from shore to find it!